GLADNEY UNIVERSITY: The purpose of Gladney University is to equip clients and professionals with the knowledge they need to help provide positive and healthy outcomes for the children we serve. Gladney University provides adoptive parents with education and support before, during and after their adoption. This education and support helps Gladney provide the finest adoption experience possible, and its part of Gladney’s promise of family for life. Additionally, Gladney University provides medical professionals, counselors, social service advocates and community members with cutting edge continuing education programs by offering relevant and engaging, web-based and in person educational adoption and child welfare resources. Gladney is uniquely positioned to provide outstanding training to parents and professionals because of our 130-year history of serving families and children. Our staff is highly qualified, experienced and compassionate. This combination creates dynamic and very successful training programs. ministry leaders, counselors, and therapists. 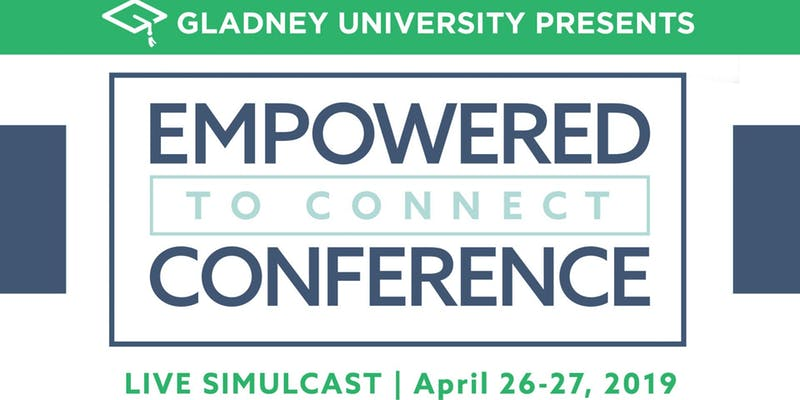 The Empowered to Connect Conference Viewing Guide includes the key takeaways from each conference presentation by the staff of the Karyn Purvis Institute of Child Development at TCU. The full-color guide contains ample space for participants to record notes, as well as helpful charts and diagrams and additional resources. We highly recommend that each simulcast participant or family has access to this Viewing Guide, which is available for purchase or free download. The FREE download will be available in February.